"..which began when I was discovered, as a baby, in a wooden lifeboat that washed ashore on the rugged coastline of a remote isle in the southern oceans, between Australia and Antarctica. I'd also like to describe my early years on Si-Sique Island, raised with the family of the lighthouse-keeper, Albert Ross, who found and adopted me. . . " From author's web-site. 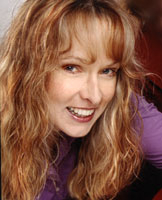 Cecilia Dart-Thornton is currently considered a "single author." If one or more works are by a distinct, homonymous authors, go ahead and split the author. Cecilia Dart-Thornton is composed of 4 names. You can examine and separate out names.